To reduce your cost, Brandsport offers this item in Bulk (sold here individually). Gorilla also lists this same item in a 4-piece set as Display Package # 96107SS. 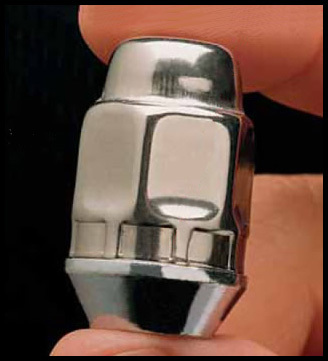 You can get a superior lug nut match with Gorilla Stainless Steel lug nuts. 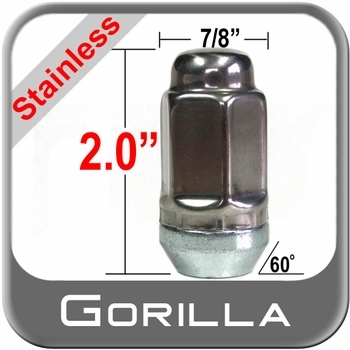 Gorilla Stainless Steel lug nuts are made to last. You can easily torque your Gorilla Stainless Steel lug nuts since they have the factory design. When replacing your wheels, don't forget to replace your lug nuts with Gorilla Stainless Steel lug nuts.. Finish exceeds 240 hour salt spray test. 2-Piece construction w/Stainless Steel cap.